This driveway in Wellington is pictured after the sub-base preparation and also during the laying process which gives a good perspective of the build-up of a domestic driveway. If the sub-base is laid correctly, i.e. correct specification and professionally installed, the rest of the job becomes much easier. 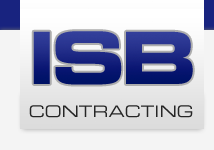 Specification will vary depending up the sub-soil in your particular post code, but the trained team at ISB Contracting will be able to identify the requirements of each individual driveway. Many thanks for a very pleasing result.